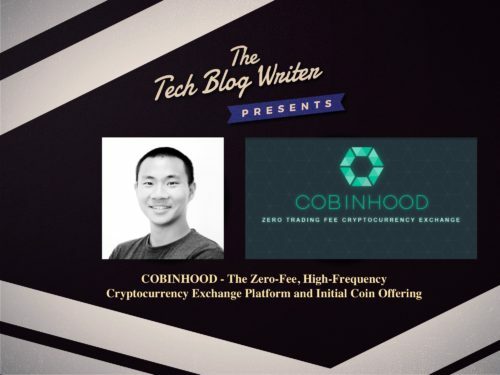 COBINHOOD is a next-generation cryptocurrency service platform home to the world’s first zero-fee, high-frequency cryptocurrency trading platform. The team behind the platform believes the evolution of blockchain technology and a decentralized financial landscape will transform global capital markets and business organizations with long-lasting impact. Popo Chen, CEO and CoFounder of COBINHOOD who also founded 17 live streaming, a leading live streaming platform across Asia with more than 5M daily users. COBINHOOD has secured a 5 million USD in seed funding, including involvement from Banyan Capital, Infinity Venture Partners and other investors. The company also announced the successful completion of its ICO presale, raising another 5 million. As the team focus on its ICO, a total of 1 billion COB tokens will be issued, while up to 500 million COB tokens will be available through Ethereum currency starting on September 13, 2017. Academy Award-winning actor Jamie Foxx also announced last week on Twitter that he would be participating in the token sale or Initial Coin Offering (ICO).